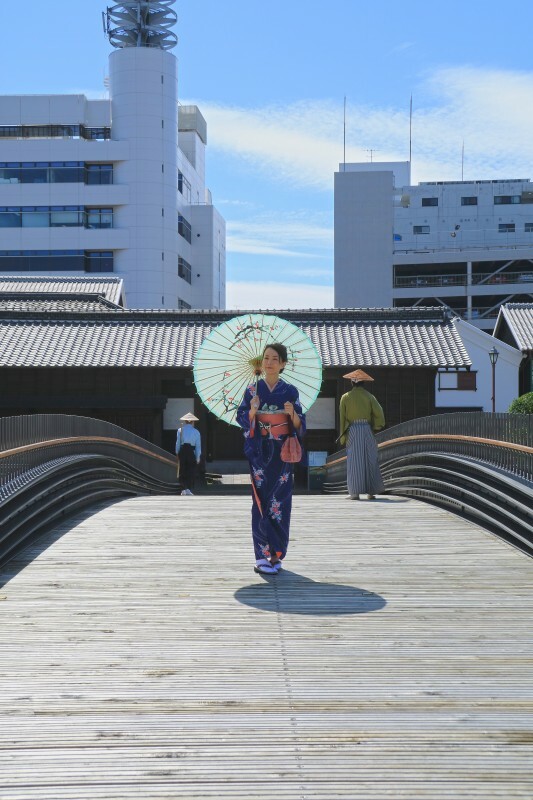 Dejima Omotemon bridge is a 38.5m length of steel foot bridge with a central span length of 33.0m. Since “Dejima” is the historic site designated by national government, construction of structures on the area was not allowed. 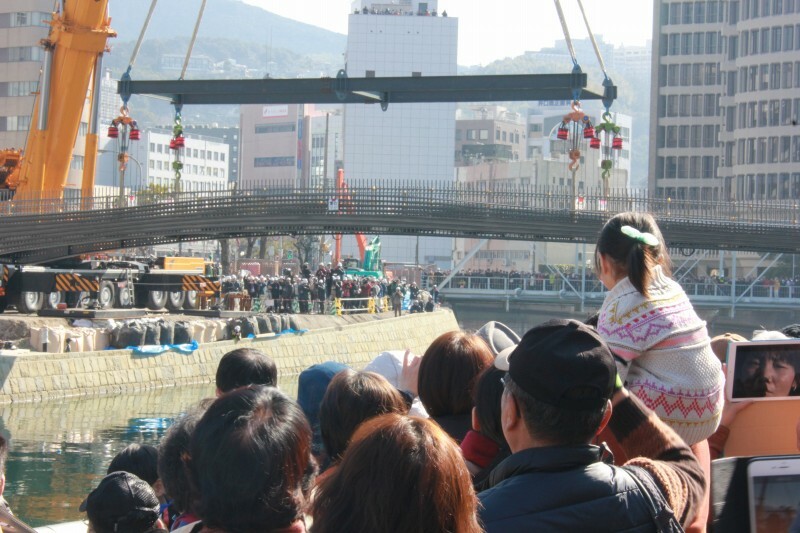 Thus, cantilevered steel plate girder supported by the other bank was adopted. At the same time, the shape and details were carefully considered to keep harmony with the historical area. 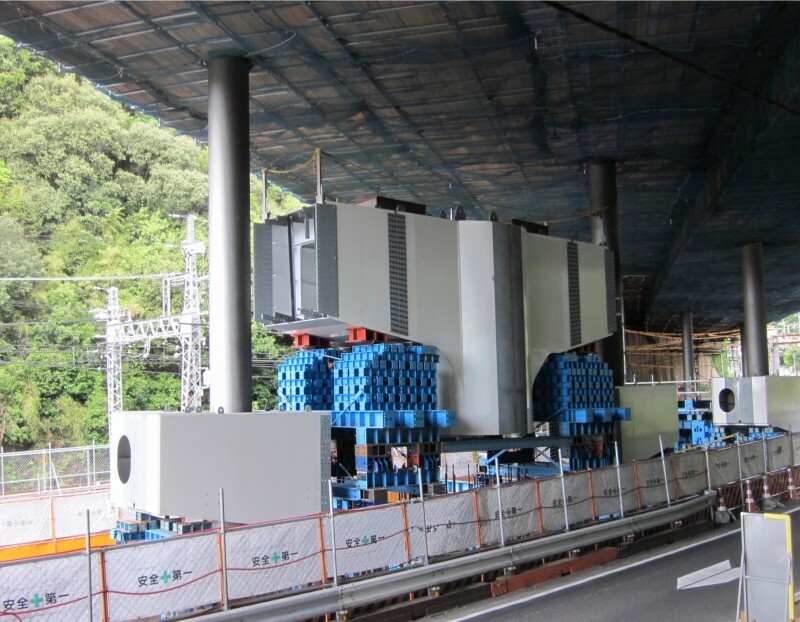 These technology and concept deserve the Japan Society of Civil Engineers Tanaka award. 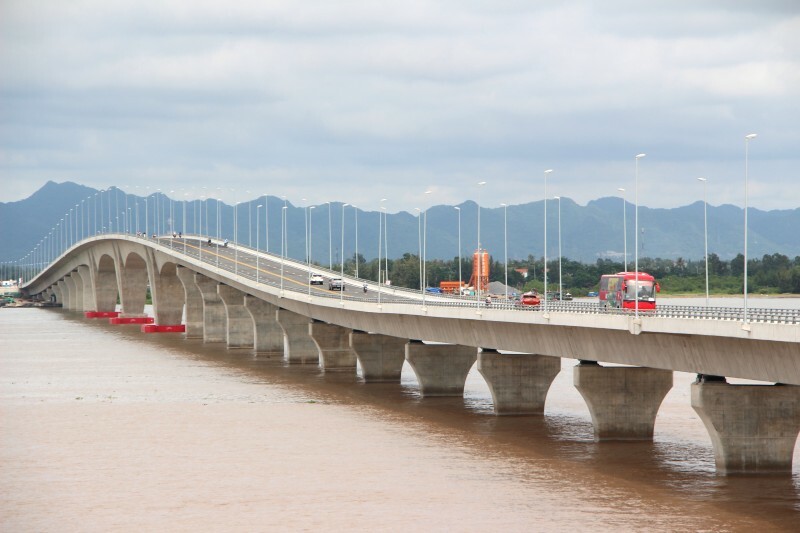 Dinh Vu - Cat Hai Bridge of 5.44km long and 16m deck width is the longest sea crossing bridge in Vietnam. It serves as gateway to Lach Huyen International Port in Hai Phong. 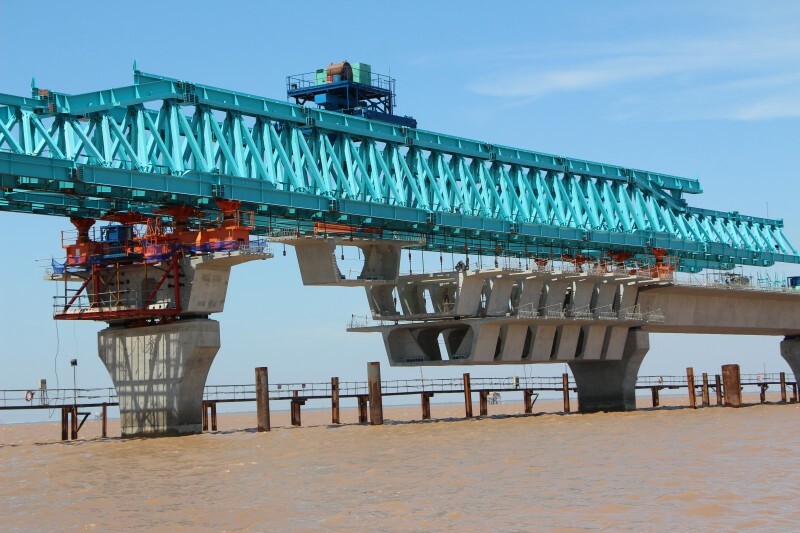 Several advanced Japanese technologies have been adopted to the bridge such as Steel Pipe Sheet Pile Well Foundation, Steel Pipe Piles with Slip Layer Coating and Span-by-Span Erection Method for precast segmental PC box girder. With a span length of 60m, it is recognized as one of the longest application of span-by-span method in the world. 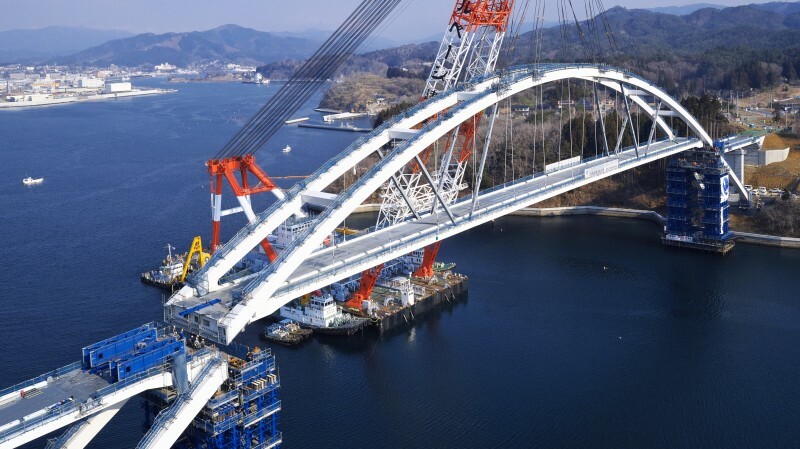 The above performance is expected to contribute for the further development of Bridge Technologies and deserves the Japan Society of Civil Engineer’s Tanaka Award. 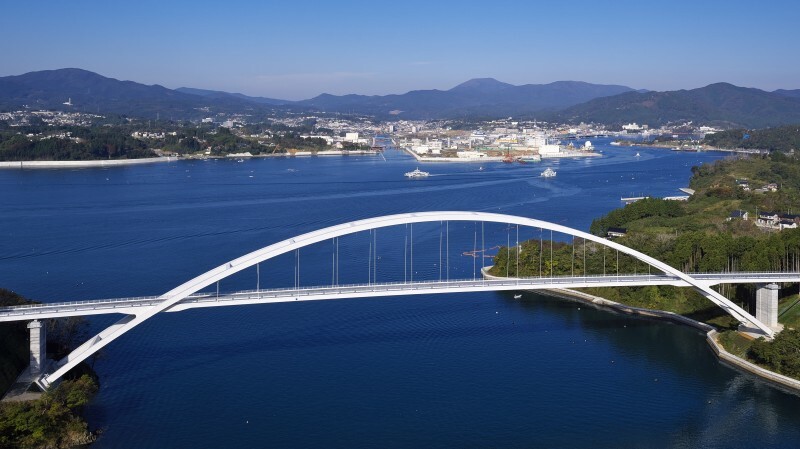 Kesennuma Oshima bridge is a half-through steel arch bridge erected between Oshima island and Kesennuma mainland. This bridge was constructed as a symbol of the restoration of the Tohoku region, because the inhabitants of the Oshima Island were isolated with no assistance at the time of Great East Japan earthquake (March 11, 2011). This bridge was designed in consideration of maintenance in the future, seismic resistance, redundancy against some cables loss. 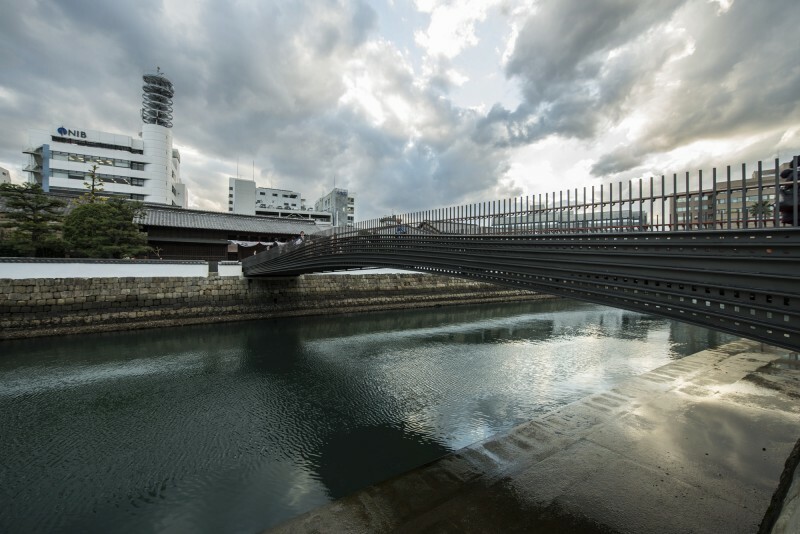 This bridge was constructed using the best of bridge technology, and it can contribute significantly to the development of bridge technology, and deserves the Japan Society of Civil Engineers Tanaka award. Namamugi Junction originally connects Kanagawa Route No.1 Yokohane Line and Kanagawa Route No.5 Daikoku Line. 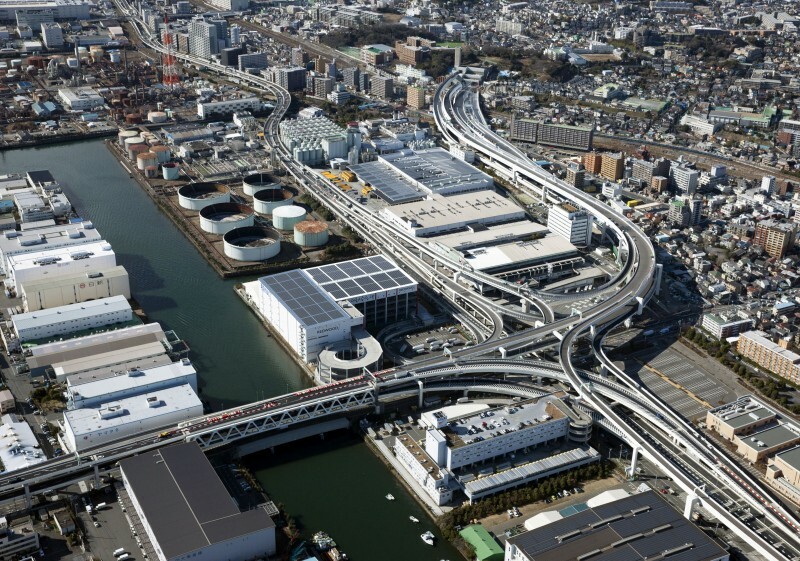 In associating with opening Kanagawa Route No.7 Yokohama-Kita Line, we can access all direction at Namamugi Junction. Namamugi Junction is surrounded by brewery, a lot of houses, and a canal. Because of its narrow space, Junction is three-story dimensional compact sturucture. 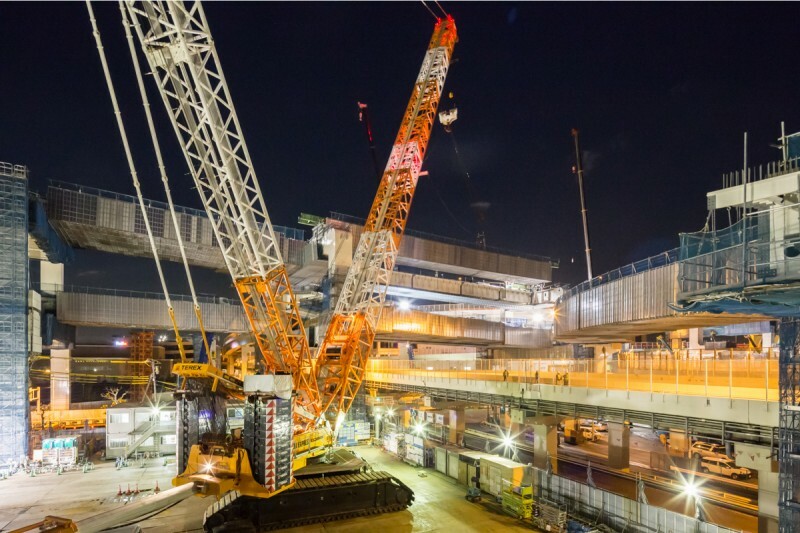 By using 1,250t crawler crane, a long span component could be builded at one try. 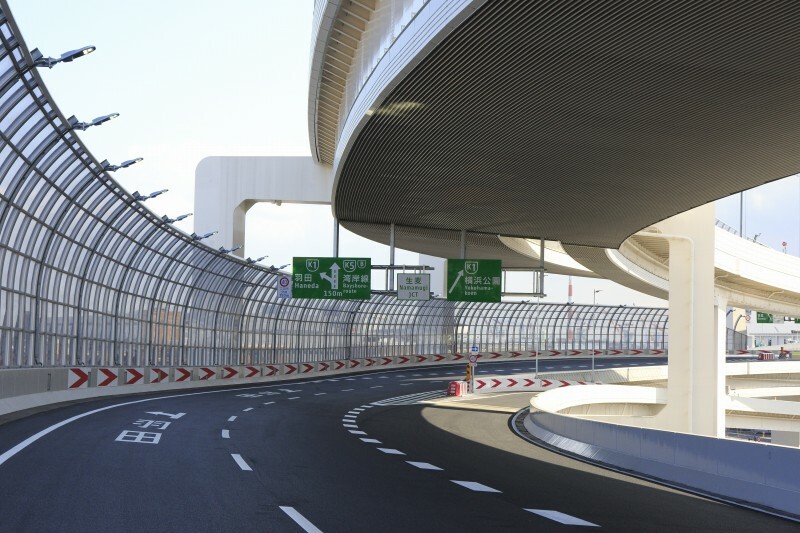 This building method contributed to minimizing influences to already operating traffic way. 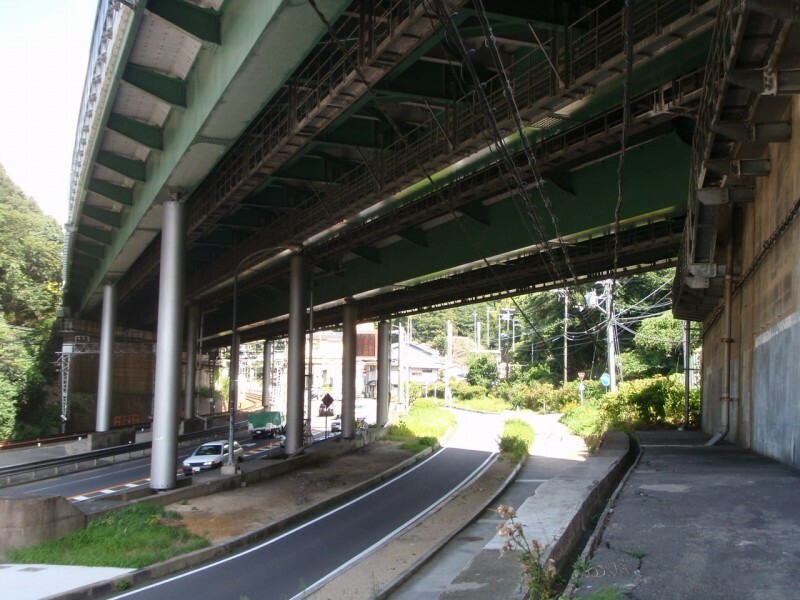 Construction under severe circumstances is considered to contribute to the future development of the bridge technology and deserves the Japan Society of Civil Engineers Tanaka award. Chuo Fukken Consultants Co., Ltd.
Joint Venture of Shimizu Corporation, Toa Corporation and Kawada Industries, Inc.
Joint Venture of Shimizu Corporation and Kawada Industries, Inc., Sumitomo Mitsui Construction Co., Ltd., P.S. Mitsubishi Construction Co., Ltd.
Joint Venture of Shimizu Corporation and Toa　Corporation., Toyo Construction Co., Ltd., Wakachiku Construction Co., Ltd. 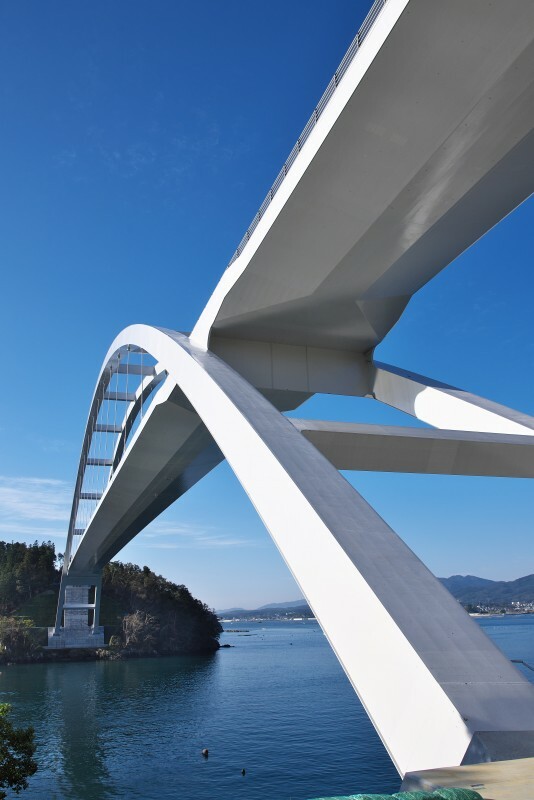 The Onahama Marine Bridge is a 927 m Harbor Road Bridge consisting of one 5-span PC extra-dosed bridge and two 4-span continuous PC box girder bridges, in the city of Iwaki, Fukushima. Landscape was designed to be in harmony with the surrounding environment. Earthquake-resistant and chloride attack measures were taken into consideration, and a maintenance manual for easier practical usage was prepared. 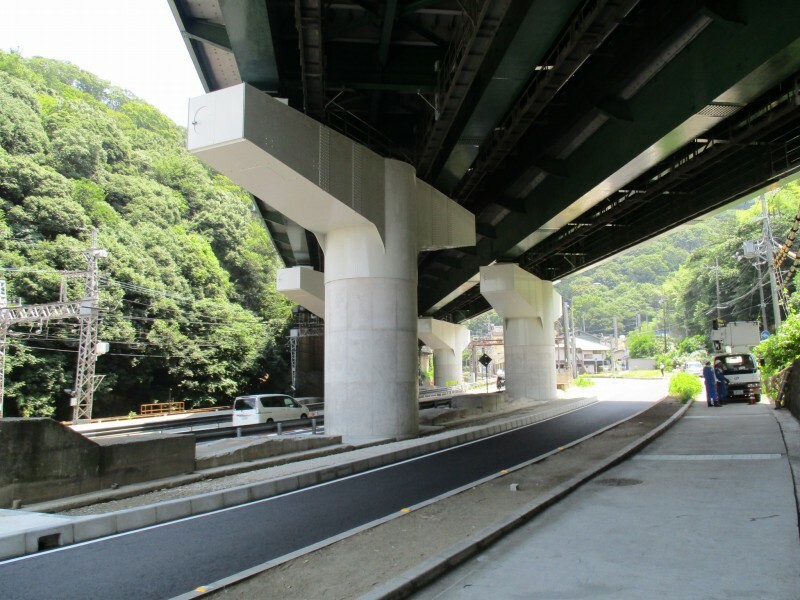 In addition, a horizontal force adjustment for the span stitching was applied at the two-chamber box girder section for the first time in Japan so as to reduce the stress generated at the bottom of the end piers. 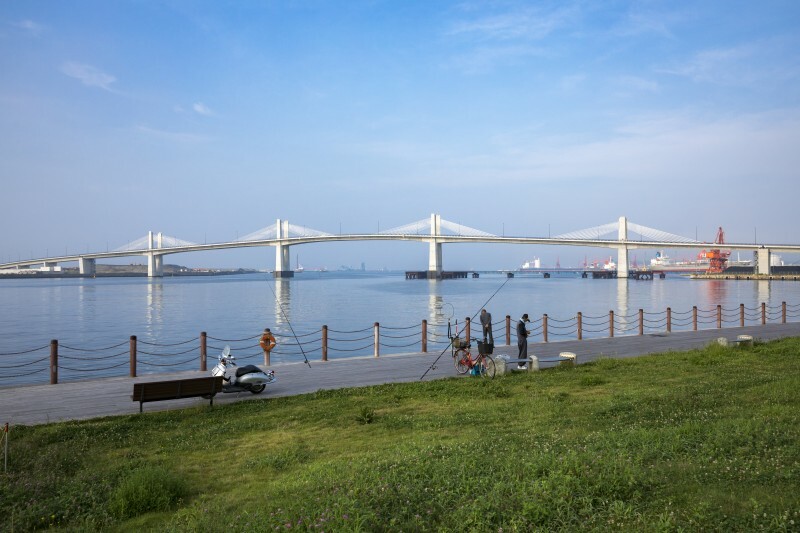 The design, construction and maintenance of this bridge will contribute significantly to the development of future bridge technology and deserve the Japan Society of Civil Engineers Tanaka award. Ministry of Land, Infrastructure, Transport and Tourism Kyushu Regional Development Bureau. 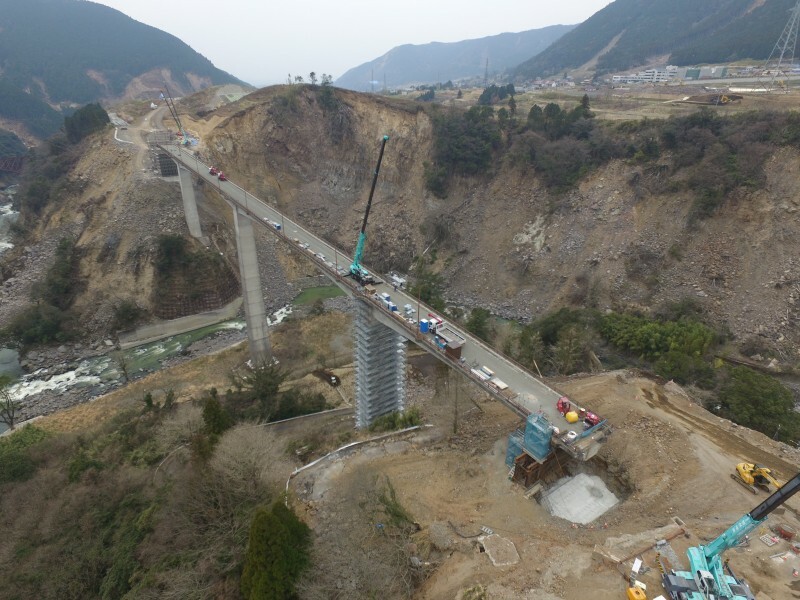 Aso Choyo Ohashi Bridge is the PC box girder rigid-frame bridge with 276m of length. 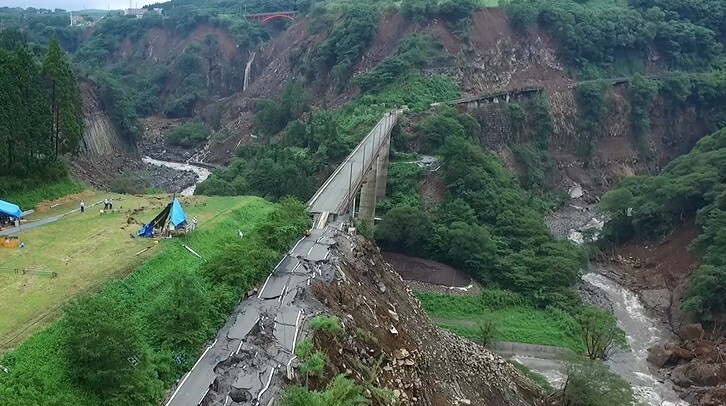 This bridge had been seriously damaged due to collapse of slopes in 2016 Kumamoto earthquake, even it was effectively restored within 16 month. 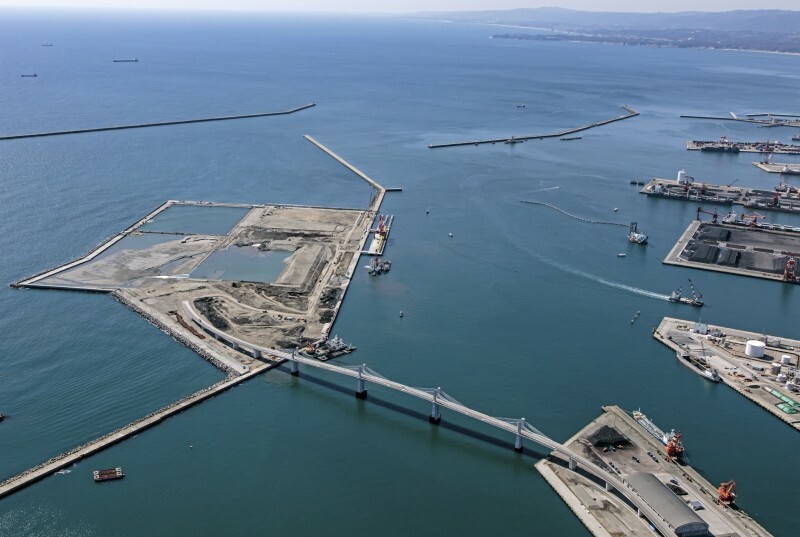 The restoration consists of reconstruction of abutments, reinforcing of pier and repairing with carbon fiber sheet. The stability of structure has been improved as compared to the structure before the earthquake. 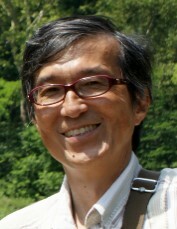 Technologies used herein were considered to contribute to the future development of the bridge technology and deserves the Japan Society of Civil Engineers Tanaka award. Mitsui E&S Steel Structures Engineering Co.,Ltd. 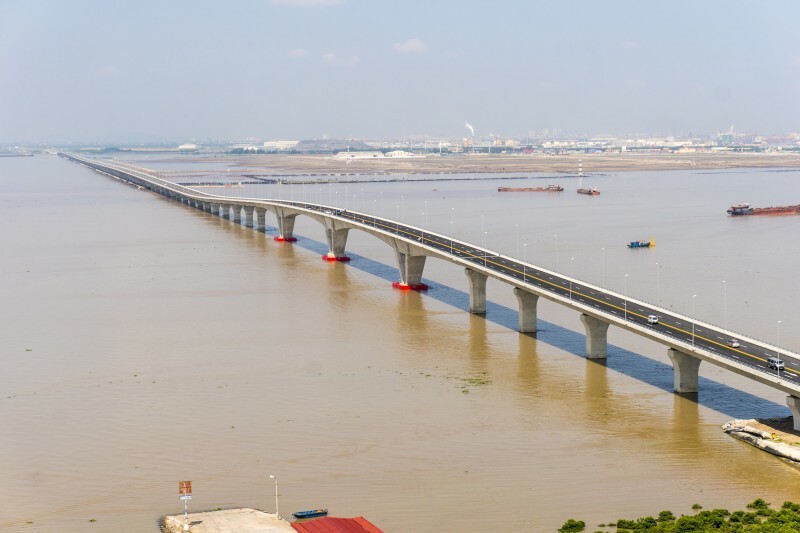 Oiwake Bridge is a 3-span continuous box girder bridge across the national road and the railway, located in the Meishin expressway, in operation for more than 50 years. 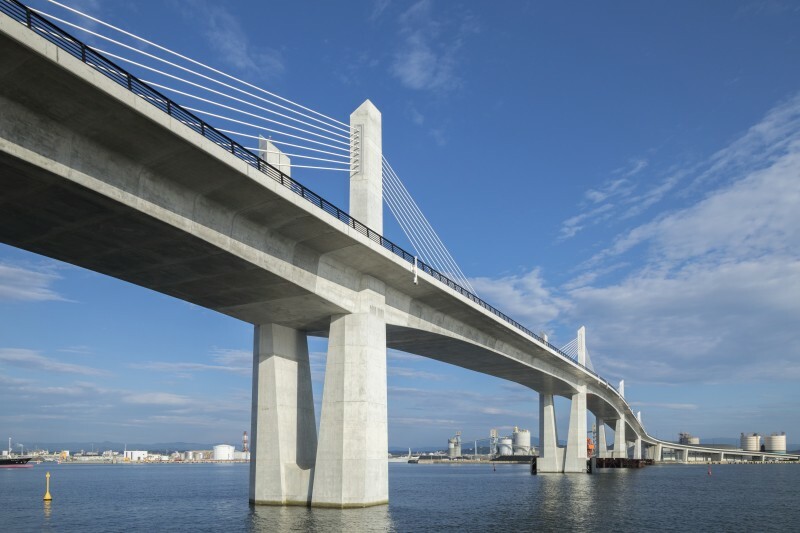 The Seismic retrofitting of the bridge was rationally undertaken under limiting condition by not only replacing the existing rocking columns with steel-concrete composite columns, but adopting isolation bearings. 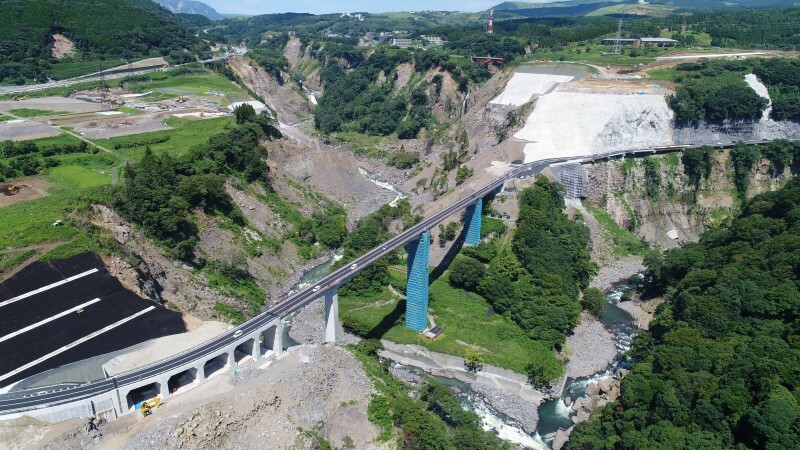 The bridge supported with rocking columns was reasonably reinforced using the best of the earthquake resistance technology, and it can contribute significantly to the development of bridge technology, and deserves the Japan Society of Civil Engineers Tanaka award.